In addition to undertaking the usual forensic investigation into the cause of the fire, Burgoynes was asked to investigate and report on the extent to which the smoke had contaminated the roof support structure and the likelihood that any such occurrence would result in longer term corrosion damage. The overall extent of the high level smoke contamination arising from the fire. The proportion of high level contamination that could be directly ascribed to the fire. Whether the smoke deposits were likely to be damaging the structural steelwork. 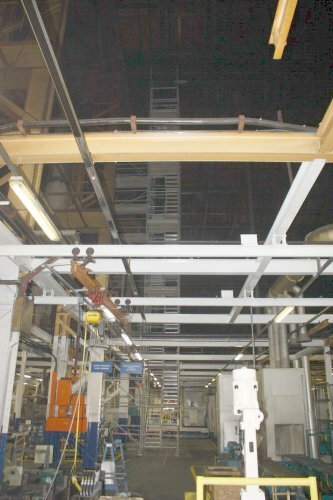 The provision of temporary access equipment allowed for more detailed inspections to be undertaken as well as the retrieval of further deposits from the roof-level steelwork. Using specific sampling techniques for these circumstances, compositional depth profiles of the deposits were obtained. Analyses of the composition of the outermost layer of deposits in the immediate vicinity of the fire showed that they contained substances that were likely to be corrosive to any unprotected steelwork in the roof. However, of more interest was the fact that these deposits had formed on top of a substantial layer of oily deposits that hadn’t originated from the fire. 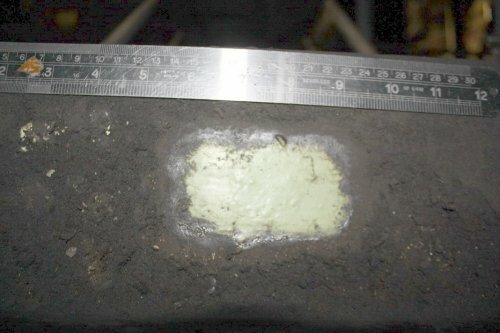 The compositions of these oily deposits confirmed that they did not pose a risk of corrosion to the steelwork. Moreover, the paint coating on the steelwork was found to be in good condition. With this information Burgoynes was able to demonstrate that the potentially corrosive deposits were restricted to a small area above the seat of the fire. Furthermore, both the presence of the relatively thick layer of non-corrosive oily deposits, together with the intact paint coating, provided a barrier between the steelwork and the corrosive smoke deposits. With this knowledge the Insured accepted that there had been significant historical contamination of the building structure by non-corrosive oily deposits. It was also accepted that, whilst potentially corrosive smoke deposits had arisen during the fire, these had affected only a small proportion of the steelwork, which was protected from any adverse effects that the smoke deposits might have. The insured further agreed that the structural steelwork did not in reality need decontamination to be undertaken as a result of the fire. As a result of this contamination assessment the Insurers saved in excess of £1 million in service costs. In addition there were substantial associated savings for the Insured due to the avoidance of unnecessary disruption to manufacturing activities during a high-level clean-up operation. This investigation case study demonstrates that thorough and systematic contamination assessments can provide valuable information to loss adjusters and Insurance companies when dealing with such claims. Burgoynes would welcome discussing the technical expertise that we can provide in relation to both smoke and other forms of airborne contamination.